It shouldn’t need to be said, but we love our barrels. If not for oak barrels, we wouldn’t have bourbon. And if we didn’t have port barrels, you wouldn’t have Angel’s Envy. So we tend to take our barrels pretty seriously. After all, they’re responsible for most of the flavors in whiskey. So how long have barrels been around for? To qualify as a barrel, we’re talking about an enclosed container made from wooden staves and hoops. Straight-sided wooden buckets were documented as early as 2690 B.C. in Egypt, but that doesn’t exactly count. From Egyptian buckets, it would be nearly 2,000 years later that some damn genius (and we DO mean genius) perfected the barrel. The forefathers of the barrels we use today were developed around 800-900 B.C. during the Iron Age, and were used to hold beer, wine, olive oil and pretty much anything else that would fit inside. Initially reinforced with wooden hoops, then later with metal, these barrels were engineering marvels of their time, and wildly superior to fragile clay containers—which had been their biggest competition. By the 2nd century A.D., wooden barrels were almost standard when it came time to ship, store or sell goods. In his book Kentucky Bourbon Whiskey, An American Heritage, Mike Veach describes barrels at “the medieval forklift.” It’s a perfect analogy. Their size made it practical for storing a large volume, but the shape allowed people to roll the barrel with relative ease. While we have shipping pallets and forklifts today, the barrel was the pinnacle in shipping technology for nearly three thousand years. There’s something to be said for good, timeless design. So why do we still have wooden barrels? Because they can do something that forklifts and shipping palettes can’t. 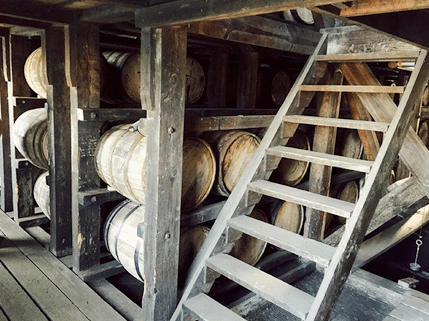 Barrel aging adds flavors to spirits that simply can’t be replicated any way other than actually resting the spirit in the wood and waiting—preferably for a few years. 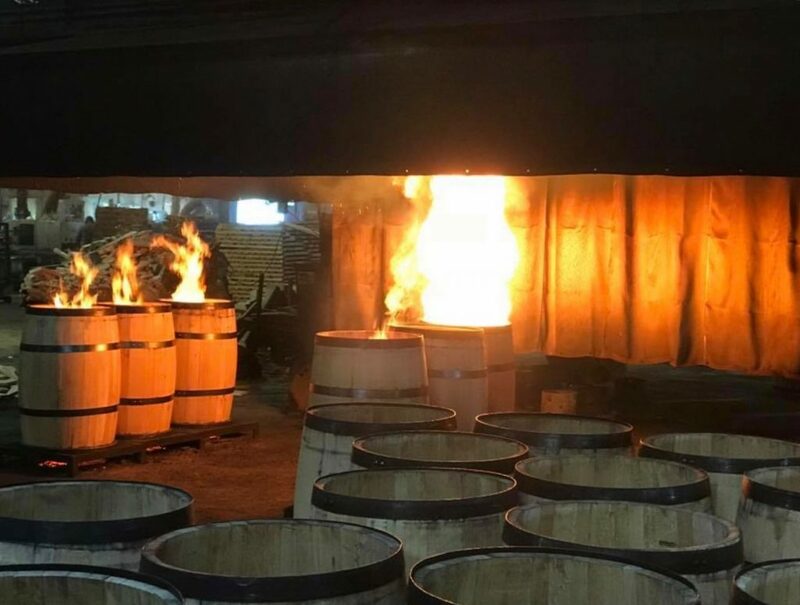 Honestly, after 3,000 years of hard work, we can’t think of a better retirement plan for barrels than spending a their time soaking in whiskey.